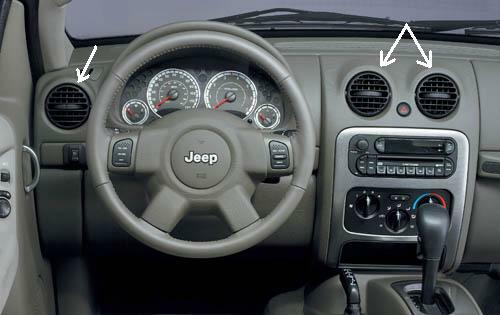 The Vent is the part that you use to control the air flow and direction for the Heat and A/C in the Dash. This Vent can be used to replace either the Left Vent, the 2 Center Vents or the Right Vent. 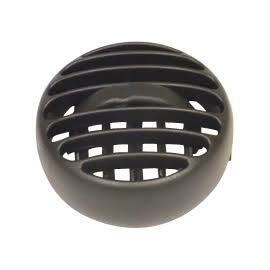 The vent is available in either Black, Slate Grey or Khaki. The Slate Grey & Khaki vents are designed to match the interior of the 05-07 KJ Liberty. The dash vent came quickly and installed real nice. Makes my dash look complete and very happy with the purchase. ProsFits real well and the color was spot on. ConsNot to much for cons other than i didnt get it for the current price thats listed. The dash A/C vent arrived quickly and seems to work well.